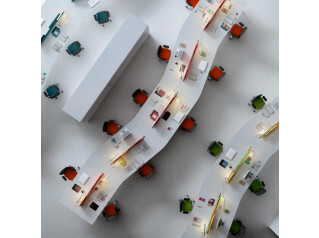 Matrix Bench Desk provides the modern office with flexible team desking. The minimal elegant design with clean lines ensure a long lasting furniture solution that you wont get tired of. 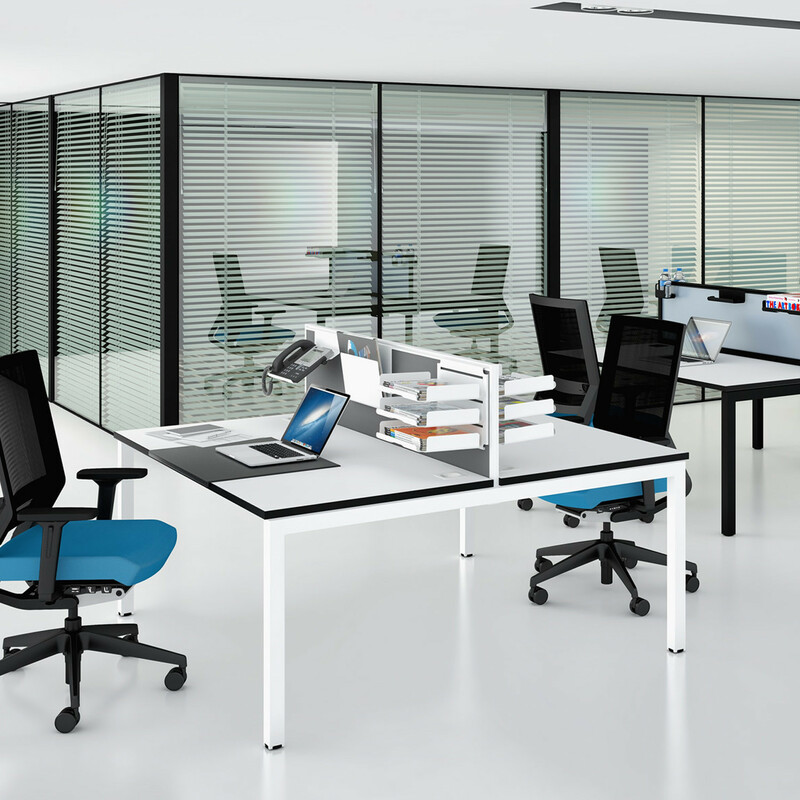 By sharing the same componentry, Matrix Double Bench Workstations reduce the amount of legs required, thus offering the system as an affordable modern office desk furniture solution. 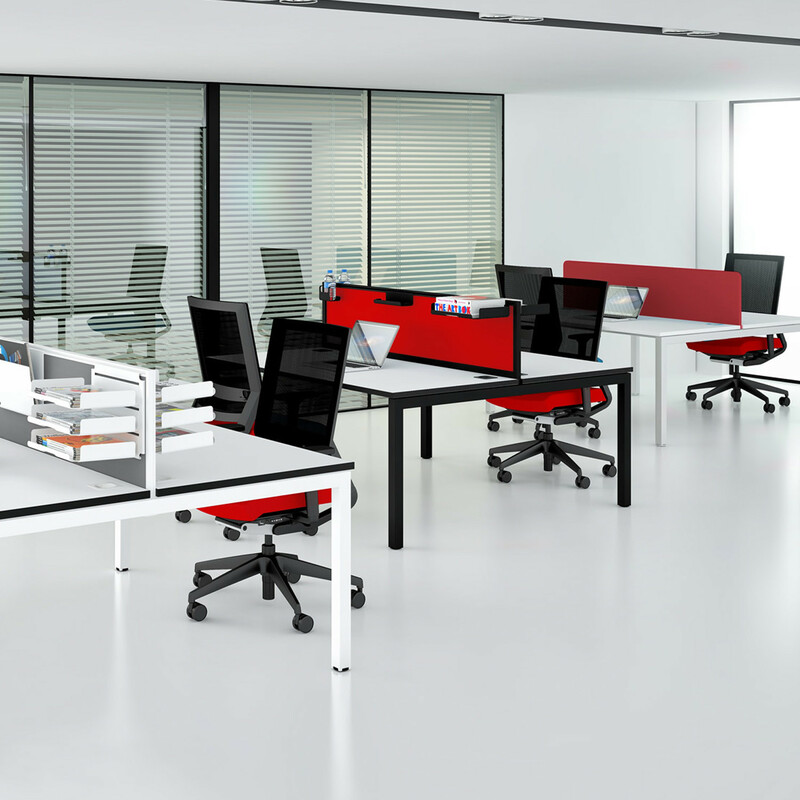 This method of minimising legs and using inset legs allows Elite Matrix Bench Desking to accommodate an increased amount of leg room, providing a more comfortable and ergonomic experience. 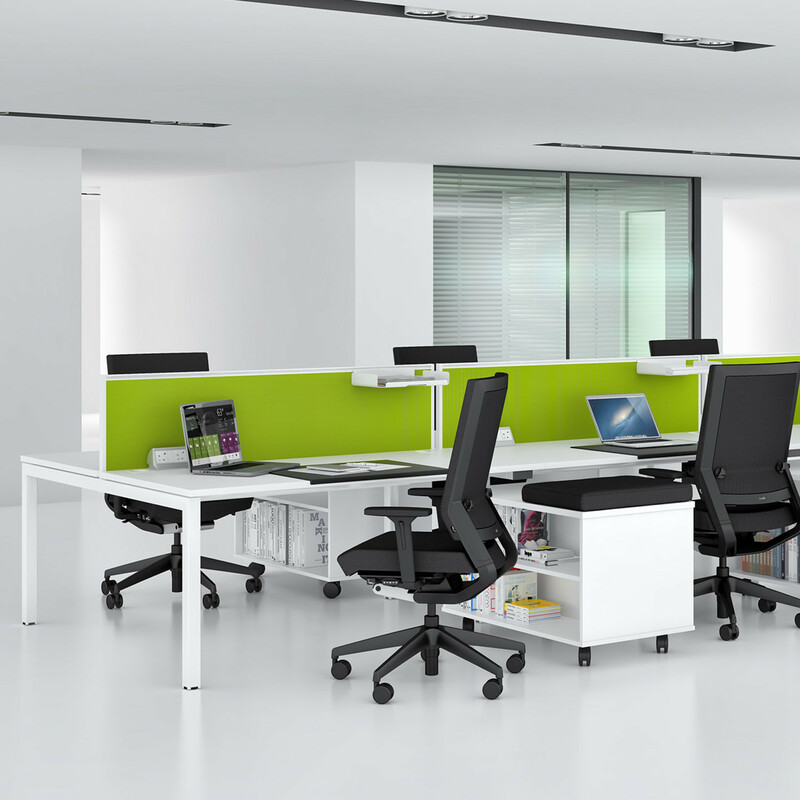 Matrix Office Bench Desk offers both horizontal and vertical wire management with the option to have desk screens, providing some privacy on these team workstations. There are two desk screen systems compatible with single and double workstation, a full aluminium trim screen and a fabric wrap option with no trim. Matrix Bench Desk frame is available in different paint finishes. Silver RAL9006 is standard and White RAL9003 and Black RAL9005 are optional extras as an upcharge. Please see the product brochure attached for more information on Matrix Bench. You are requesting a price for the "Matrix Bench Desk"
To create a new project and add "Matrix Bench Desk" to it please click the button below. To add "Matrix Bench Desk" to an existing project please select below.